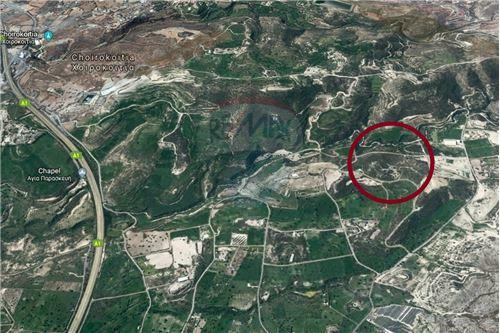 This property is located between Larnaca and Limassol, in the beautiful village of Skarinou with a total area of 8100m². The asset, as a land, has a rather rectangular shape with a total frontage of 76.56 meters. It is only a 15 minute drive to the sea, a 20 minute drive to the centre of Larnaka or Limassol and also provides easy access to the highway for trips to Nicosia, Paphos or Ayia Napa. 80% of the property falls within planning zone Γ3 with 10% building density, 10% coverage, 2 floors and a maximum height of 8.3m. 20% of the property falls within zone Δ1 with 30% building density. This property is located between Larnaca and Limassol, in the beautiful village of Skarinou with a total area of 8100m². The asset, as a land, has a rather rectangular shape with a total frontage of 76.56 meters. It is only a 15 minute drive to the sea, a 20 minute drive to the centre of Larnaka or Limassol and also provides easy access to the highway for trips to Nicosia, Paphos or Ayia Napa. 80% of the property falls within planning zone Γ3 with 10% building density, 10% coverage, 2 floors and a maximum height of 8.3m. 20% of the property falls within zone Δ1 with 30% building density.